Cook first 4 ingredients together. Cut chicken into bite size pieces. Mix together soup, sour cream & peas & add to chicken. 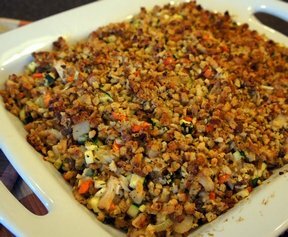 Mix together stuffing mix & chicken broth. 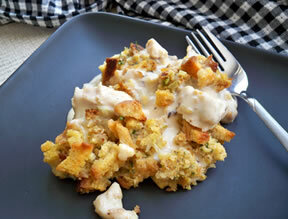 Place chicken mixture in 3-quart casserole dish. 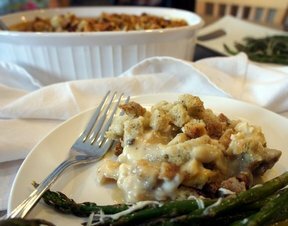 Put stuffing on top. Bake @ 350° for 45 minutes.